The main building houses the majority of the bedrooms and two suites, all of which were refurbished in 2013 in light woods and warm colours, and all with their own en suite facilities and flatscreen TVs. There is also a side wing, internally linked, including the owner's private apartment and three guest apartments, offering particularly spacious family accommodation. Each has a downstairs lounge, with the bedrooms above, reached by an internal staircase. The entrance reception area and lounge/bar offer a convivial seating area for enjoying afternoon tea or pre-dinner apéritifs, as well as our new Xtra Chalet bar service. The dining-room (possibly a touch tight at breakfast if all families attend at once!) is delightfully Austrian, clad in Tyrolean knotty-pine panelling with traditional stube seating, and its charm and ambience lends itself to enjoyable dinners with good wine, tasty food and lively conversation. We update Chalet Alpenblume's details often, but facilities do change. e.g. some extras listed by the supplier as "free" or included might only be for the first time you use them, or for one time per party, then charged for further use. If any specific feature is essential to your holiday, make sure you ask us to confirm the details of it before you book your holiday. This package holiday to Chalet Alpenblume in Obergurgl, Austria departs Saturday 4th January 2020, for a 7 night stay on a "catered chalet" board basis. A local tourist tax (Taxe de Sejour or Kurtaxe) is levied by many councils in European ski resorts. It varies by standard and type of accommodation and is age dependent, so not everyone is charged. It's not included in the basic price of your holiday and is usually paid locally. For reference, the average charged in winter 15/16 was between 50p and £2 per person, per night. Obergurgl lift pass price last reported as € 246,00 (adult 6 day). Ask for a quote when booking Chalet Alpenblume. 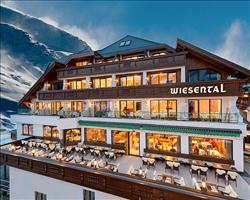 Hotel Wiesental Obergurgl Austria, Gatwick to Innsbruck 4th January. 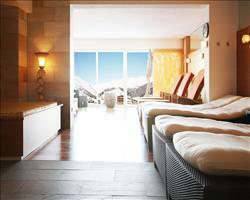 Hotel Olympia Obergurgl Austria, Gatwick to Innsbruck 4th January. 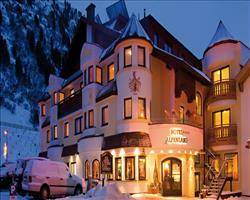 Hotel Alpenland Obergurgl Austria, Gatwick to Innsbruck 4th January. 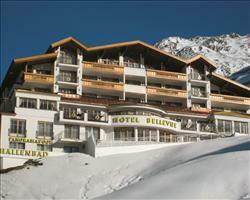 Hotel Bellevue Obergurgl Austria, Gatwick to Innsbruck 4th January. 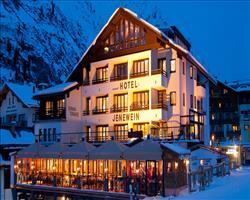 Hotel Jenewein Obergurgl Austria, Gatwick to Innsbruck 4th January. 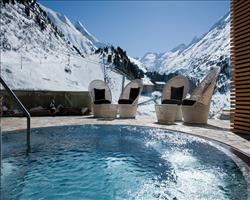 Hotel Alpina-Sonn... Obergurgl Austria, Gatwick to Innsbruck 4th January. 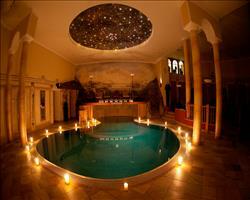 Hotel Edelweiss &... Obergurgl Austria, Gatwick to Innsbruck 4th January. 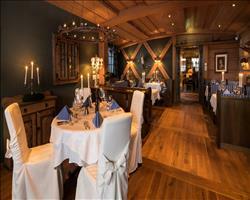 Hotel Alpina Obergurgl Austria, Gatwick to Innsbruck 4th January. 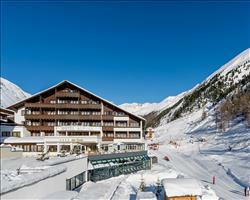 Hotel Gotthard Obergurgl Austria, Gatwick to Innsbruck 4th January. 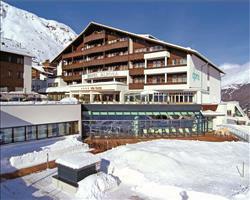 Hotel Bergwelt Obergurgl Austria, Gatwick to Innsbruck 4th January. We cannot praise the chalet, staff & resort enough! This was our first time in a catered chalet so we were not sure what to expect, but it has far exceeded our expectations. We will be back! We have never stayed anywhere so well appointed or with such helpful staff. Without exception all the staff are happy, friendly, extremely helpful and go 'above & beyond'. A fantastic week - the chalet was very good and the experience made even better by the chalet team! Thank you.